It flatters you for a while, It warms you for an instant and then it kindles a mortal fever in you." So said Madame de Sévigné, the famous 17th-century letter writer. Back Chat goes back 3000 years to trace the origins of chocolate and then travels up to the present day. Join this voyage of discovery and see where the adventure takes you. If you have chocolate tales to tell or questions to ask, please contact me at Back Chat at http://www.leslieback.co.za or email me at les@leslieback.co.za . I look forward to many chocolate conversations. "It flatters you for a while, it warms you for an instant; then it kindles a mortal fever in you," says Madame de Sévigné, the famous 17th-century letter writer, who was concerned about her daughter leaving Paris and how she would cope without a chocolatière! Chocolate has its origins 3 000 years ago, can one believe that it all started with a bean on a tree? The ‘food of the gods’, a translation of the Greek botanical name, Cacao has its origins in Mexico and Central America. 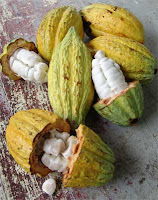 There a cacao tree produced beans with a wonderful pulp. The Aztecs, who mixed it with water or wine and seasoned the mixture with vanilla pimento or chilli pepper, first drank the pulp. This pulp - chocolate, is steeped in legend. 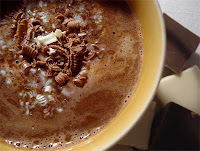 Montezuma amazingly drank 50 cups of chocolate a day, making him the chocoholic of all time! The Spanish were infatuated with the mystique of chocolate. They believed it was an aphrodisiac, built up resistance and fought fatigue. The great and the good revelled in this delicious beverage. Louis X1V and his wife Marie Theresa enjoyed it. When Marie Theresa died, the king secretly married his mistress, Madame de Maintenon, who disapproved of chocolate and subsequently the king suppressed it being served. In its early days chocolate was a very rich beverage. As it became more generally available, cooks experimented with new ways of using it. It began to appear in cakes, pastries and sorbets. A Dutch chocolate maker, Cornelius J. van Houten, patented an inexpensive method for pressing the fat from roasted cacao beans. The centre of the beans, known as the ‘nib’, contains 54% cocoa butter, which is a natural fat. Van Houten built a machine, an extremely efficient hydraulic press and reduced the butter content by nearly half. The cocoa butter present in the ‘liquor’ (the paste produced after grinding the beans), left behind a cake-like residue that could be pulverized into a find powder known as cocoa. He treated the powder with alkaline salts (potassium and sodium carbonate) so that the mixture would blend more easily with water. This process is known as DUTCHING. The end product was darker in colour and lighter in flavour. This is a strange anomaly as many chocolate eaters assume that darker chocolate has a stronger flavour. This is not the case and it may simply be the dark colour that attracts. Van Houten went further. By the introduction of cocoa powder, he not only made the creating of chocolate drinks easier, he also made it possible to combine chocolate with sugar and then remix it with cocoa butter to create a solid. Others began to build on Van Houten’s success and once he sold his rights, 10 years after taking the patent, the race was on. The great English houses of Fry and Cadbury fought fierce legal battles as to who would market the new product first. Joseph Storrs Fry produced what was arguably the first eating chocolate. SOME CHOCOLATE-SPEAK TO EASE THE WAY. Nib – the centre of the bean. Dutching - the process by which cocoa powder was treated with potassium and sodium carbonate to facilitate mixing it with water. Chocolate Liquor - a paste containing non-fat solids from the nibs as well as some of the remaining cocoa butter. Conching - a process invented by Rudolphe Lindt and named after his machine, the Conch. This is derived from the Latin word for shell, as the machine has shell-like rollers. This machine greatly improved the quality of the chocolate and made it more blendable. Cacao – a botanical name, which refers to tree, pods and unfermented beans from the pods. The term is now used for beans that have been fermented. Cocoa – refers to the manufactured product for drinking or food marketing purposes. 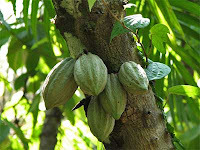 Growing - The cacao bean grows in large pods on the cacao tree. Harvesting – It is by assessing the colour of the pod and the sound it makes when it is tapped that the picker can be sure it is ready for picking. Fermenting – The pods are split with a cutlass taking care not to damage the precious bean. Chemical processes take place involving bacteria and yeasts in the air, which affect the sugary pulp surrounding the beans. The process raises the temperature of the heap and under these conditions amazing changes take place within the bean itself. The colour changes from purple to chocolate brown and the cacao smell begins to emerge. This is the first crucial stage in developing beans of superior quality. Drying – After fermentation the beans are spread on bamboo mats or wooden drying floors. Cacao beans arrive at a chocolate factory in the same condition in which they leave the cacao-growing countries. The beans are given a preliminary cleaning and foreign objects such as stones are removed. Then they are carefully inspected on a moving belt and any shrivelled or double beans are discarded. All processes from here are mechanical, although the beans are sorted by hand before being roasted. The use of a moving belt facilitates the process. Roasting takes place. Different varieties of beans are roasted separately. After roasting, the beans are cooled as quickly as possible to prevent further internal roasting. The beans are then loaded into a machine known as a winnower, which removes the hard outer hulls separating the nibs of the bean by size. The nibs are the basic product used for chocolate production. There is a blending process relying heavily on the skill of the chocolatier. In the same way as a winemaker blends his grapes, the chocolatier determines the mix of strong and mild cacao beans. These formulae are jealously guarded secrets. Nibs are passed through a series of rollers resulting in a warm paste. After grinding, the cacao mass or ‘liquor’ flows out of the machines into shallow metal containers. The next step depends on whether the liquor is to be made into cocoa powder or drinking chocolate. The process for the making of the two products, are very different and are treated separately. A carefully selected blend of roasted and ground nibs; the edible centre of the bean is mixed with pulverized sugar and enriched with cocoa butter, not necessarily extracted from the same batch of nibs. Mass producers in the chocolate industry are very keen on adding Lecithin, a vegetable fat, to replace some or all of the cocoa butter. They can then sell the valuable butter at a profit. The mixture goes into a melangeur, a round machine with a horizontal bed, which is run on heavy rollers. The chocolate paste now resembles a well-kneaded dough. When manufacturing milk chocolate, powdered milk or evaporated sweetened milk is now added to the rest of the ingredients in the mixture. The chocolate paste is ground between a series of 5 rollers, each succeeding roller rotating faster than the previous one. By the time the paste emerges from the 5th roller, it is paper-thin. Many mass producers are quite content to call this the end of the process. However, the finest quality chocolate needs further treatment known as conching. 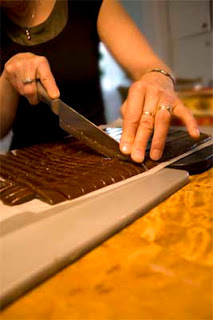 Swiss chocolatier Rudolphe Lindt invented the conching machinery in 1850. The function of the machine is to agitate the liquid chocolate over a period of perhaps as long as seven days. Conching ensures the liquid is evenly blended. During conching, various flavours are added, such as vanilla, cloves or cinnamon. Once the conching stage is complete, the chocolate is fed into tempering kettles. The process of tempering stabilizes the cocal butter crystals and gives the chocolate a bright sheen and a sharp snap when broken. Finally the chocolate is poured into moulds and allowed to cool. Packaging then takes place. Couverture. 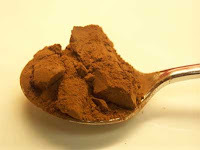 This is high quality plain or bitter chocolate for use in cooking and preparing confectionary. Milk Chocolate Some aficionados do not regard this as really chocolate. There are many good brands however. They are usually sweeter and have milk solids added. White Chocolate This is available in varying qualities. It is made from sweetened pale cocoa butter. This sold mainly for its novelty value or to provide an attractive colour contrast. There are some products on the market that are made with vegetable oils instead of cocoa butter. Buyer Beware! Check the label to avoid cheap imitations. Chocolate is best stored at around 68-72ºF or 20-22ºC. There is constant debate about the health properties of chocolates. Chocolate has been said to cause acne, tooth decay and is fattening and lacking in nutrition. In the positive camp, it is known to be all things from an anti-depressant to an aphrodisiac. Recent research provides the good news that chocolate neither causes nor aggravates acne. Chocolate is a stimulant to the nervous system, as it contains small amounts of caffeine. This stimulation could be the basis of some of the claims of strength, alertness and aphrodisiacal qualities. Migraine sufferers blame excess intake of chocolate for their woes. Cheese and chocolate both contain doses of a substance known as Tyramine. Chocolate however contains only a small quantity. Chocolate lovers would do well to be aware of the difference between these two conditions. Craving is an unmet desire for a pleasurable substance and can be caused by many of our senses, smell for example. 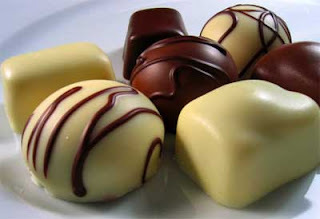 Stress is thought to play a part in the desire for chocolate. Addiction is the habitual use of a substance such as alcohol or drugs and requires more and more to satisfy the need. Chocolate is hardly an addictive substance, although the glucose in it triggers the release of the production of endorphins, the body’s own morphine, which can in turn lead to a cycle of craving. There is a sensual association where chocolate is concerned. The rumour of its aphrodisiacal quality dates back to the Ancients . Sadly there is no research to confirm this. 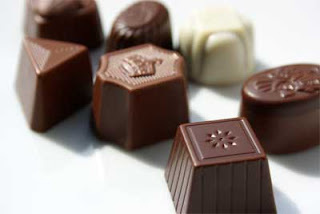 Chocolates are also often used as tokens of love and packaged symbolically to emphasise this. There is a nutritional value and can be used to enhance mental alertness, energy and strength. It is possible to identify chocolate by the country where it is made. Each has a different taste and chocolate lovers choose that which appeal most to them. The Swiss are justifiably famous for their chocolate In the late 19th century, they developed a number of processes that greatly enhanced the solid chocolate that had been developed. Two major developments in1879 produced this result. Daniel Peter, a Swiss chocolate manufacturer, had the idea of using powdered milk (invented by Henri Nestle in 1867) and he created milk chocolate. 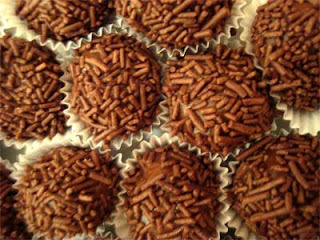 Rudolphe Lindt developed the chocolate kneading technique known as ‘conching’. This improved the quality of the chocolate and created a more intense and silky flavour. Lindt produces 40 tons of chocolate products each day. Today you can enjoy exquisite Lindt creations at Sprüngli in Zürich. Suchard and Tobler are another two distinguished chocolate houses. The Zucher family were among the pioneers of the Swiss chocolate industry. Confisere Zucher in the Swiss resort of Montreaux is considered the No.1 place for people to sip hot chocolate and enjoy the splendid view of the lake. Besides its fame as a chocolatier, Zucher also produces cakes, cookies and pastries. Their street front store serves as a neighbourhood bakery, pastry shop and tearoom. The classic Zucher chocolate is there in all its variations. 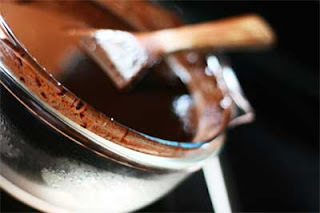 The French are usually credited with the invention of the Chocolatière, the chocolate pot. The first French chocolate factory was situated in Bayonne. Today the joy of strolling past famous French epiceries (confectioners), such as Fauchon in the Madeleine and being totally in awe of the tableaux presented by their artistry, is one of the pleasures of just being in Paris. Magnificent handmade chocolates are on display teasing the window shopper and arousing the taste buds. The undisputed king of chocolate in Paris is Monsieur Linxe. He has a basement workshop at 225 Rue St Honore where he works his magic. Raspberry flavoured chocolate, and creations filled with a caramel chocolate are but two of his famous much sought after specialities. At 52 Rue Francois 1er, you can enjoy a tall glass of perfect iced chocolate, hot if you wish and pastries, sorbets, mousses and many things chocolate to satisfy the most ardent chocolate lover. He has another establishment at 8 Boulevard de la Madeleine. French chocolate is a thing apart and they expect it to be shiny brown, free of lumps or tiny burst bubbles and white specks. It should melt on the tongue and have a true flavour of chocolate rather than cocoa. The United States developed their version of chocolate bars. After many experiments and failures due to the mixture scorching or failing to set, Milton Hershey’s milk chocolate bars finally appeared on the market in 1900. These were followed by his famous 'Little Kisses'. 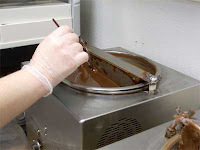 On the West Coast, Ghiradelli was experimenting with new techniques and ultimately produced their chocolate bars. The English had two great houses, Cadbury and Fry. These were famous establishments where one drank chocolate. The great diarist, Samuel Pepys records this. The most famous was White’s chocolate house near St James Palace and its rival the Cocoa Tree in St James Street. By chance, the Cocoa Tree was a favourite haunt of the Tory Party, while the Whig aristocracy frequented Whites. In Spain, there were chocolate houses everywhere and it was fashionable to drink a cup accompanied by picatoste, fried bread, to dip into it. Today the habit persists and it is traditional to take a cup in the morning with freshly cooked churros (piped strips of deep fried choux pastry), which replaced the picatosse. The Spanish are avid fans of adding chocolate to sauces for meat, game and fish. Chocolaterias originally sprang up all over the city and today the chocolate drinking habit remains and there are still many to choose from. The Spanish like their chocolate thick, so thick that a spoon will stand up in it. Cornflour is used as a thickener and sometimes eggs, which practically turn the drink into a mousse. Belgium has produced many famous chocolates, none more so than Godiva, when a master chocolatier, Joseph Draps, founded a chocolate company in honour of Lady Godiva. Belgium, with its tradition of perfectionism and one of the creators of the world’s most elegant handcrafted chocolates, is the obvious place for the birth of Godiva. Joseph Draps opened the doors to his shop on a cobble-stoned street on Grande Place. He named his family’s chocolate company, ‘Godiva’. He perfected a unique formula of rich chocolate with unparalleled smoothness. With a keen eye for detail, he set forth the standard for Godiva’s innovative selection of elegant, European shell-moulded designs and beautiful packaging. Belgium chocolate was launched into the world when Godiva was introduced into America in 1966 and continues to be the leader in the premium confectionary category. There are 200 Godiva speciality boutiques in major U.S. cities, as well as over 1000 additional outlets in fine department and speciality stores. Austria’s fame for chocolate products is a well-known. Their world famous patisserie and chocolate establishments include the great Hotel Sacher, famous for amongst many other things, its Sacher torte. The Hotel Imperial is famous for their Imperial Torte. Great chocolate makers are Altman and Kuhne, which present beautifully made chocolates exquisitely packaged in miniature chests of drawers and treasure chests. A visit to Vienna has to include chocolate on the menu. Very intesting, especially info about how well known brands developed.